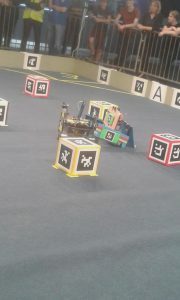 In one of the last matches two of the other teams showed that Student Robotics can turn into BattleBots really quick. 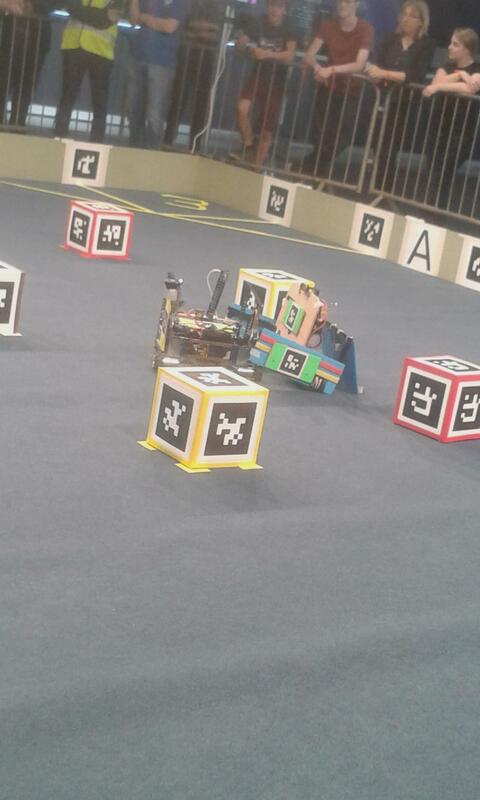 Our last match was a little success for us as our robot powered up, started to drive, collected a token and almost succeded to bring an A-Token into our zone. We are still trying to solve the problems that occur and are suer that we will solve them.